Format: 3 Days (23 hours for CPD). The Hero’s Journey is an archetypal path of individual transformation. It is a map that shows the stages of our personal process of evolution. These stages are revealed time and again in myths and legends in all cultures throughout the history of humanity. While the structure of these stages is universal, the expression is completely unique for each individual. At different times in our lives we are aware of a calling: a push or pull forward. This starts us on a path of learning and growth. Along this path we meet inevitable challenges. Confronting these challenges forces us to evolve in new ways and directions and brings us to a journey of self discovery. This journey involves crossing a threshold into a new territory outside of our comfort zones, finding the proper guardians (resources), and facing and transforming inner “demons” or “shadows”. 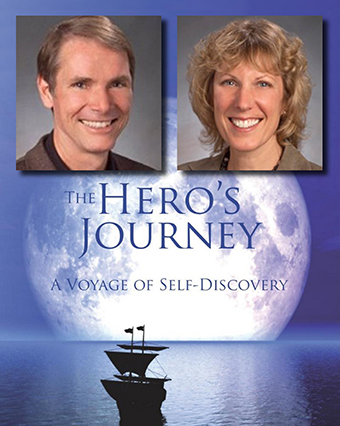 The Hero’s Journey examines the questions: How can you live a meaningful life? What is the deepest life you are called to, and how can you respond to that call? It is about how to discover your calling and how to embark on the path of learning and transformation that will reconnect you with your spirit, change negative beliefs and habits, heal emotional wounds and physical symptoms, deepen intimacy, and improve self-image and self-love. Along this path we inevitably meet challenges and confronting these challenges force us to develop and think in new ways and push us outside our comfort zone. This 3-day workshop is a wonderful voyage of self-discovery for everyone who wants to create more in their life. This innovative and experiential program will bring together the Hero’s Journey structure with concepts and tools from the latest thinking in NLP, mind-body connection and leading edge body based practises. Participants will work on areas of change and transition in their lives, using movement to awaken and instil needed resources so that they are there and available for use “in the muscle”. For an expanded summary of ‘The Hero’s Journey’ click here. 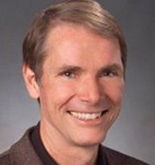 Robert Dilts has been a developer, author, trainer and consultant in the field of NLP since its creation in 1975 by John Grinder and Richard Bandler. A long time student and colleague of both Grinder and Bandler, Mr. Dilts also studied personally with Milton H. Erickson, M.D., and Gregory Bateson. In addition to spearheading the applications of NLP to education, creativity, health, and leadership, his personal contributions to the field of NLP include much of the seminal work on the NLP techniques of Strategies and Belief Systems, and the development of what has become known as ‘Systemic NLP’. 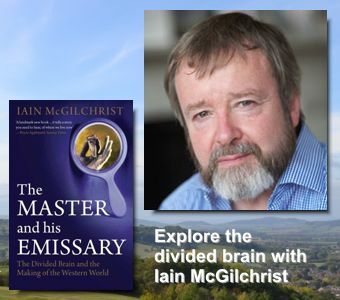 Some of his techniques and models include: Reimprinting, Integration of Conflicting Beliefs, Sleight of Mouth Patterns, The Spelling Strategy, The Allergy Technique, Neuro-Logical Levels, The Belief Change Cycle, Generative NLP Patterns, the Unified Field Theory for NLP and many others. Deborah Bacon Dilts is a trainer in Psychosynthesis, Relaxation Therapy, Gabrielle Roth’s 5 Rhythms® and Richard Moss’ transformational and spiritual work. She lives in France where she has also worked as a professional interpreter for trainers and teachers in the personal growth field for almost 20 years. She also shares a home in California with her husband, Robert. 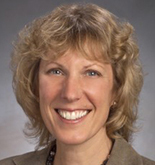 Deborah has been working with her husband Robert Dilts since 2005 to create programs blending NeuroLinguistic Programming (NLP) with movement and transpersonal approaches including: The Power of Presence; Coaching at the Identity Level; The Hero’s Journey and the Five Rhythms®; Crisis, Transition and Transformation: Tools for Managing Change; and Dynamic Teaming: Releasing the Generative Power of Groups and Teams. This high-quality Residential course is only £1,295.00+VAT (£1,554.00 including VAT). No hidden extra’s. Everything taken care of. Non-residential places are available from £1,145.00+VAT (£1,374.00 including VAT). This truly is a uniquely comprehensive package that you won’t find anywhere else and really gives you time to focus on your learning. The workshop will be held at the luxurious Cheltenham Park Hotel and all food and accommodation is included in the residential price. 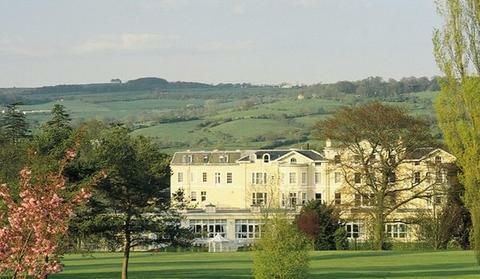 Cheltenham Park Hotel is just a few minutes from the centre of Cheltenham which has excellent links to the rest of the UK. Less than 2 hours drive from London and less than an hours drive from Birmingham, Bristol and Cardiff. Cheltenham also has excellent mainline rail links which are just a 10 minute taxi ride from the training centre. The training will be immensely practical and experiential with each individual having their own unique experience in the inspiring surroundings of Cheltenham Park Hotel. We start the first day of the course at 10.00am and then 9.00am every other day. We aim to finish by 6.00 each day. It’s a total of 23 hours training during the 3-day course with plenty of time to unwind, enjoy the wonderful surroundings and discuss the learning from the day. The workshop qualifies for 23 hours CPD depending on the governing body of your specific discipline. A certificate of attendance with CDP hours will be given to all participants. Please check with your disciplines governing body or your supervisor to clarify for CPD suitability if required. How do I book or reserve a place? To book click on the ‘Book Now’ button at the top of this page. We encourage you to book as soon as you can. With Field NLP Training you are booking on a course that has strictly limited numbers so bookings are on a first-come, first-served basis.